NOTE: The same thing happens across all devices and operating systems so this problem is equally an issue with all browsers and on OS X, Windows, iTunes, iOS and the iOS Music app! 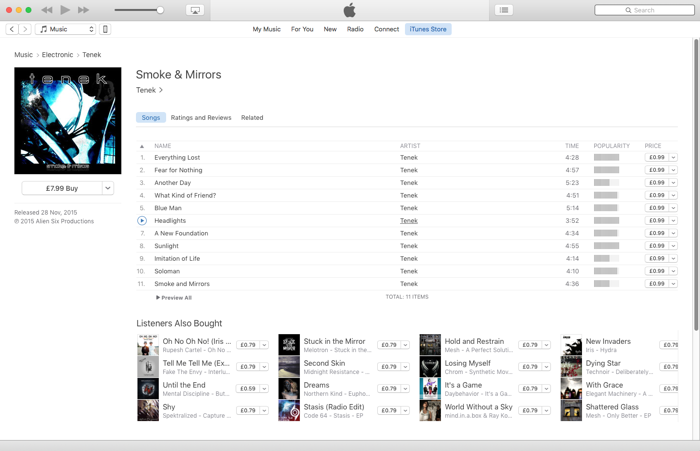 iTunes Store - go to the relevant album, song or music video, click on the little down arrow next to the buy button and choose "Copy Link"
iTunes Store - go to the relevant artist, album, song or music video, (right/control) click on the content text e.g. artist name or album title, choose "Copy Link"
Apple Music - go to the relevant artist, album, song or music video, click on the three dots icon (•••) choose Share content type, then "Copy Link"
generate the link using the iTunes Link Maker web site (choose the "Store Country" and 'Media Type' of "Music" (not Apple Music) and search for your content, select it (click on it) in the results and choose the type of link you want e.g. "<> Text Link"
anything that follows the standard link after a question mark "?" tells your browser to do additional things after loading the relevant information e.g. set an affiliate cookie or when the "View in iTunes" button is clicked in the browser to open iTunes and go to a specific section of iTunes / iOS Music app e.g. 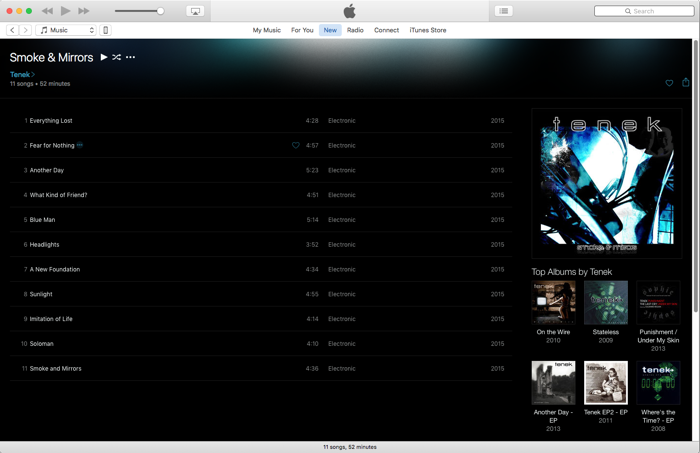 the iTunes Store or Apple Music (see below). Multiple actions can be joined together on the end of the link with an ampersand character "&". The first change, geolocation, is nice and easy to deal with. The web site part of an iTunes link can use a geolocation server for the end user instead of the standard "itunes.apple.com" server so you can replace that with "https://geo.itunes.apple.com". This means the browser is automatically redirected to the user's local country store rather than the default one in the USA. It also means you don't need to post different links for users in different countries - one link to rule them all (obviously the content iTunes ID number must be the same in each country and the product must be available in the user's local iTunes store for the link to work properly). 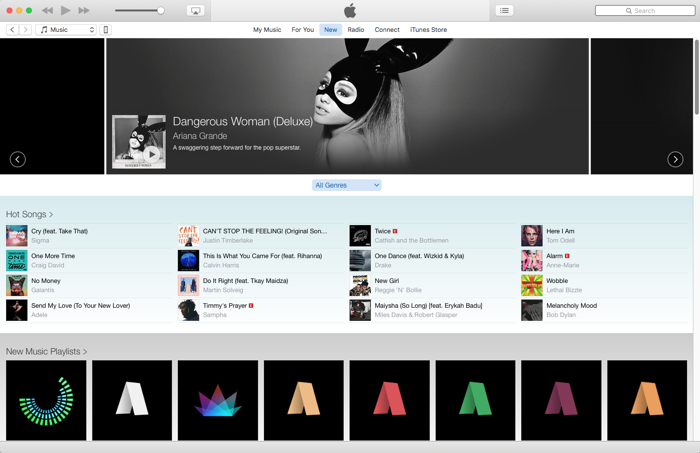 The second change, Apple Music, has a wider reaching problem for artists and labels alike. If you use a standard iTunes link such as the one obtained from the iTunes Store itself it no longer takes users to your content on the iTunes Store - it will load iTunes / the iOS Music app as usual but then instead of going directly to the content in the link it only opens Apple Music! And if that content is not specifically available on Apple Music, iTunes / the iOS Music app simply goes to the default Apple Music homepage instead and not to your content - this is especially true for pre-order items as it won't even load your Apple Music page! In addition, if the user does not have an Apple Music account iTunes / the iOS Music app may well load the default Apple Music homepage anyway, rather than go to your content. This means a lot of old links no longer work properly and worse still, the standard links obtained via the iTunes Store no longer work properly either. I have a web site with iTunes links on it. What should I do? Replace your old links with the updated links as per the information above. If you use static HTML pages I'm afraid you're going to need to go through all your pages and update any iTunes links manually. If you use a dynamically coded web site see the next question below. If you need to generate new links use the official iTunes Link Maker web site (choose the "Store Country" and 'Media Type' of "Music" (not Apple Music) and search for the required content, select it (click on it) in the results and choose the type of link you want specifically "iTunes Badge" for the iTunes store (all the others generate a link to Apple Music which you probably don't want) - if you just want the "a href" link or the "iTunes content code" you can easily find it within the generated code. What if Apple changes the links again in the future? This way if Apple makes changes to the iTunes links you can update your site wide variables once, in the header / include file and as the content code doesn't change the iTunes links will automatically update across your entire site. Please feel free to pass this information on to other artists and content managers - you can use the Blog Post reference URL/link to this blog post URL provided at the bottom of this page.